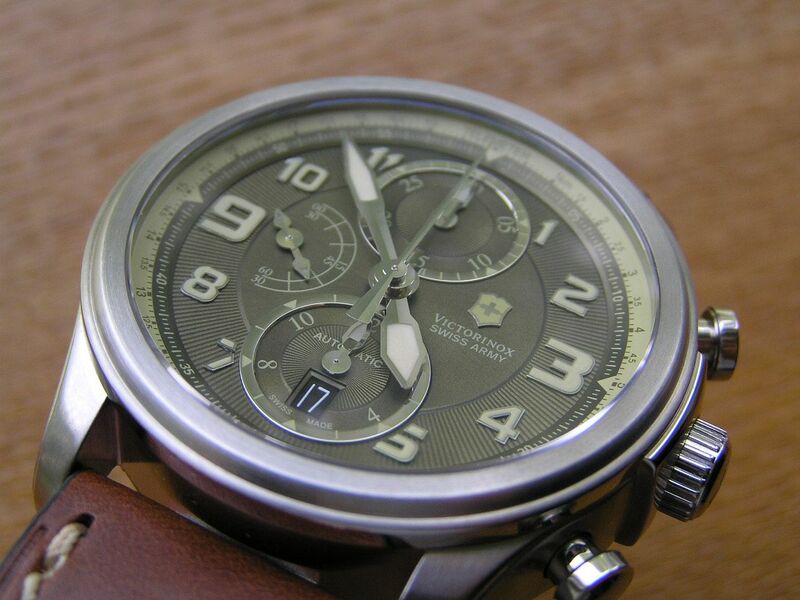 When I first laid eyes on this Victorinox automatic chronograph, I was smitten. 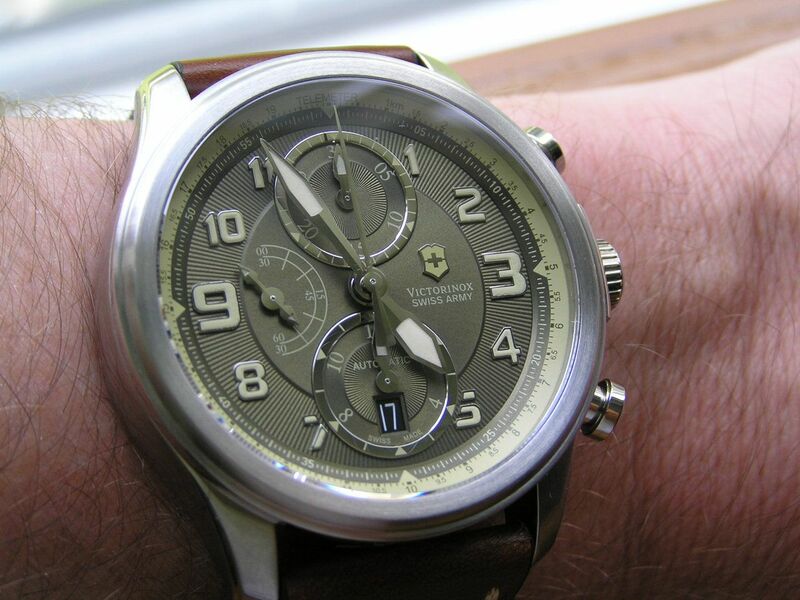 Albeit, it was only a picture I was looking at, but I was attracted to the lovely green dial, vintage style pushers and overall striking design. Now that I have purchased one, trust me, this watch looks simply amazing in person, pictures cannot do it justice (even though I have tried with the pictures that follow this review). 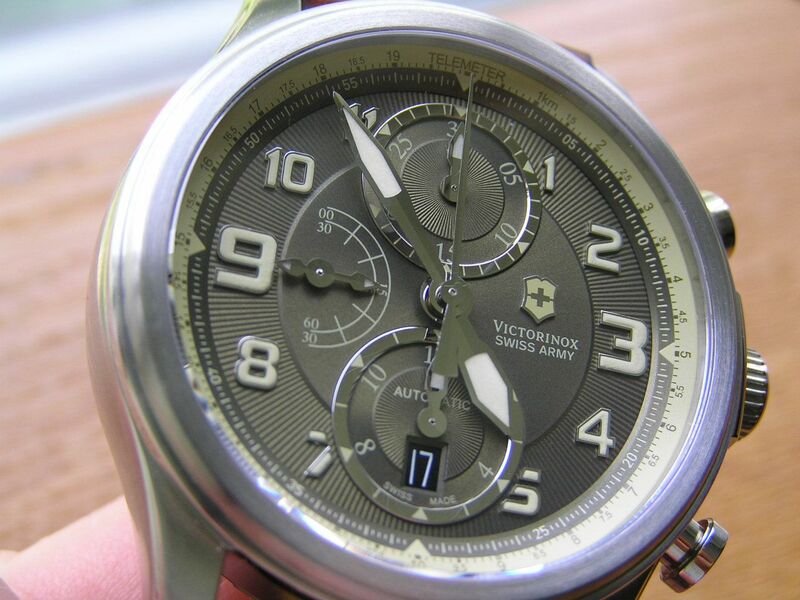 Victorinox continues to deliver a high-quality, high-value Swiss made watch (both quartz and automatic) when bought at the right price and lately their designs have really become something special without being over-styled like certain Hamilton and ORIS models as of late. This Infantry Vintage Mechanical delivers the goods with grace, style and precision. The Infantry Vintage Mechanical starts with a brushed and polished stainless steel case with a mild stepped bezel measuring 44.3mm without the signed crown; 48.1 including the crown. The pushers on this watch are a bit large, because they are styled with a nod to vintage chronographs, therefore, they really look like pushers, which is fine with me. 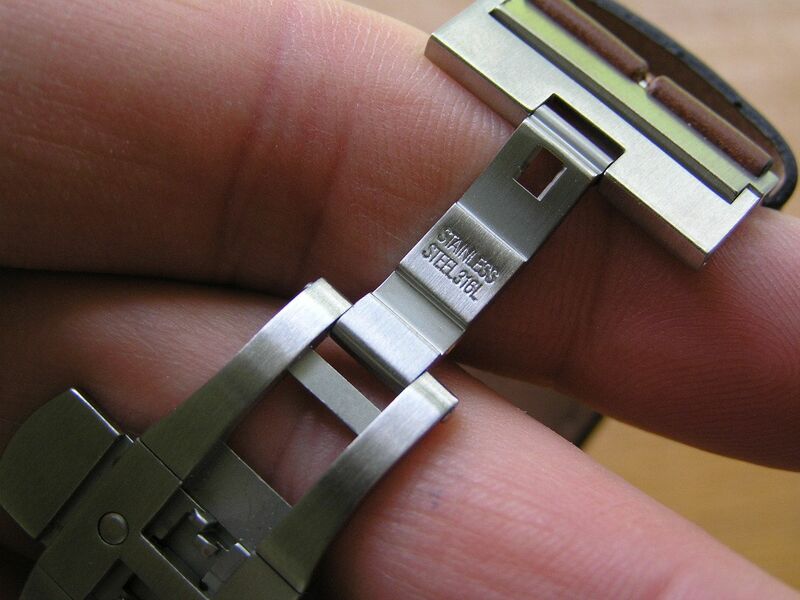 Lug width is 23mm, thickness, as with any Valjoux 7750 powered watch, is a rather substantial 15.1mm. 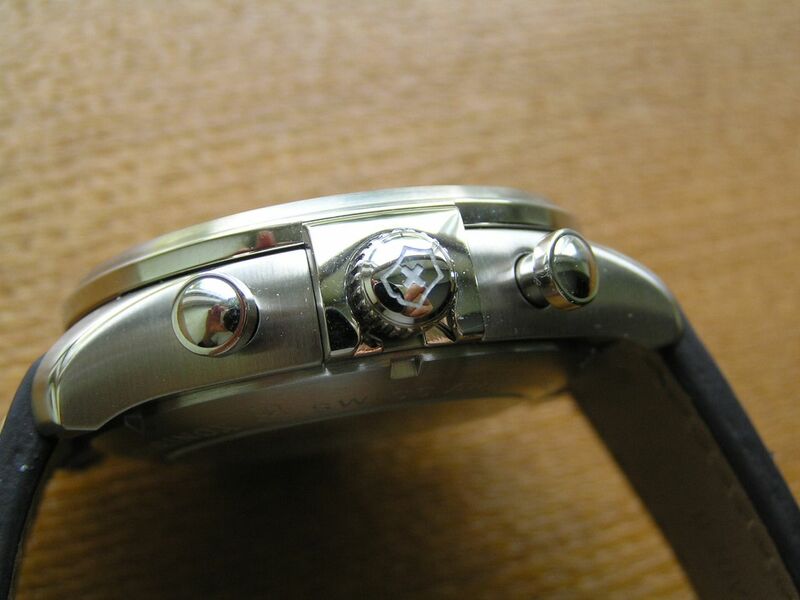 The caseback screws down and displays the signed rotor on the automatic movement. There is a polished square section on the case that surrounds the crown, giving the illusion of a hunter-style snap on cover. Pretty slick. A slightly domed triple anti-reflective coated sapphire crystal caps the case. What really makes this Infantry Vintage Mechanical so special is the detailing on the dial and the color combinations used with the watch. 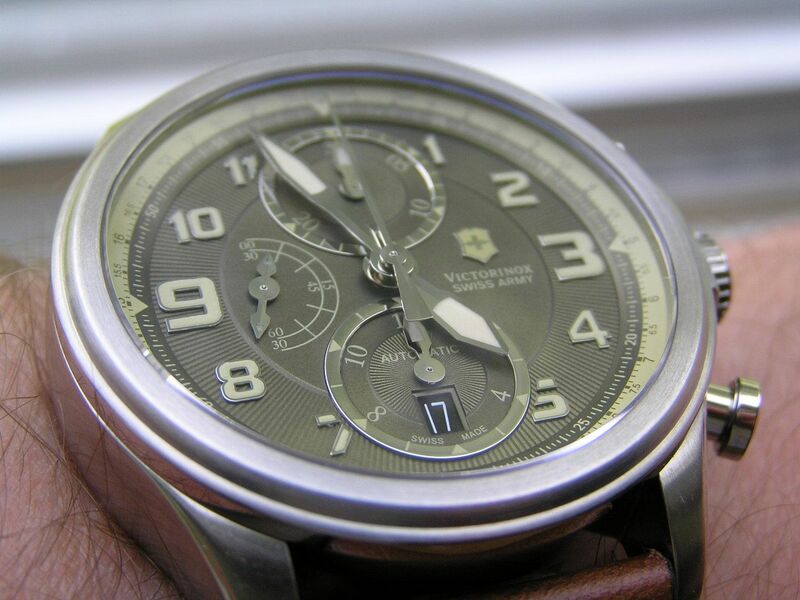 The dial is a beautiful olive green with a slight sparkle to it, not metallic, but somewhat shiny. It really looks classy. The texturing on the dial is outstanding, with a circular center that’s untextured, while the applied luminous arabics encircle this area within a textured outer circle. The design of the arabics is interesting, the 1,5,7 and 11 are smaller, with the 2,4,8 and 10 slightly larger and finally the 3 and the 9 being the largest. Only three of the arabics (5,7, 11) are slightly cut off. The hands are somewhat fat sword-style with aged colored inset lume in a faded orange/beige. It looks fantastic. 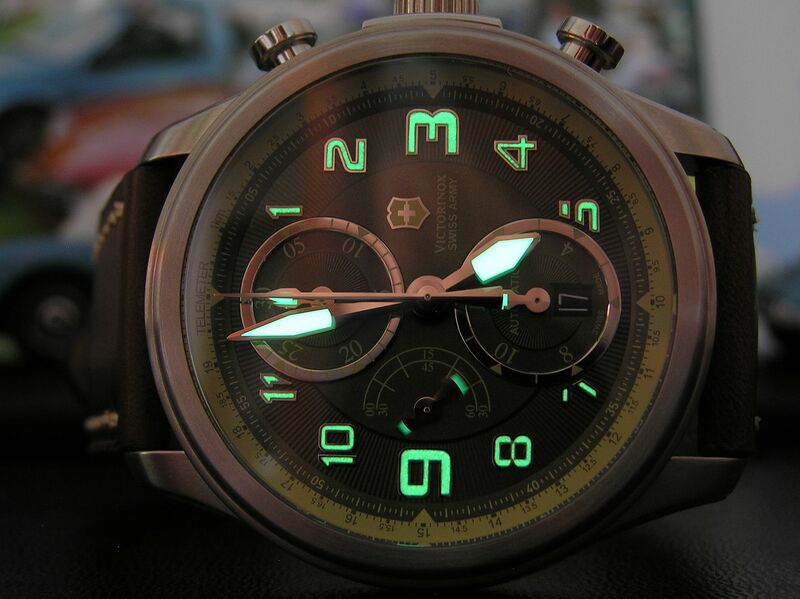 Lume quality is superb. A beige telemeter scale forms the chapter ring and outlines the green shade of the dial. 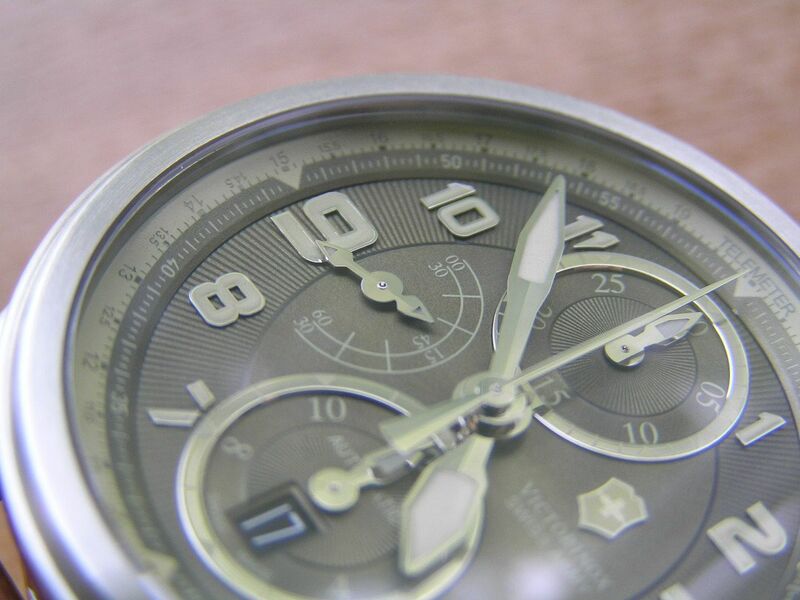 The upper subdial at 12 is the chronograph 30-minute totalizer, while the subdial at 6 is the 12-hour chrono totalizer. The white-on-black quickset date is also imbedded in this subdial but doesn’t detract from its functionality. The hands for the totalizer subdials are fattened up pointers with lume, while the chrono seconds hand is plain silver. The top and bottom subdials have texturing to them as well with lume on their respective hands. 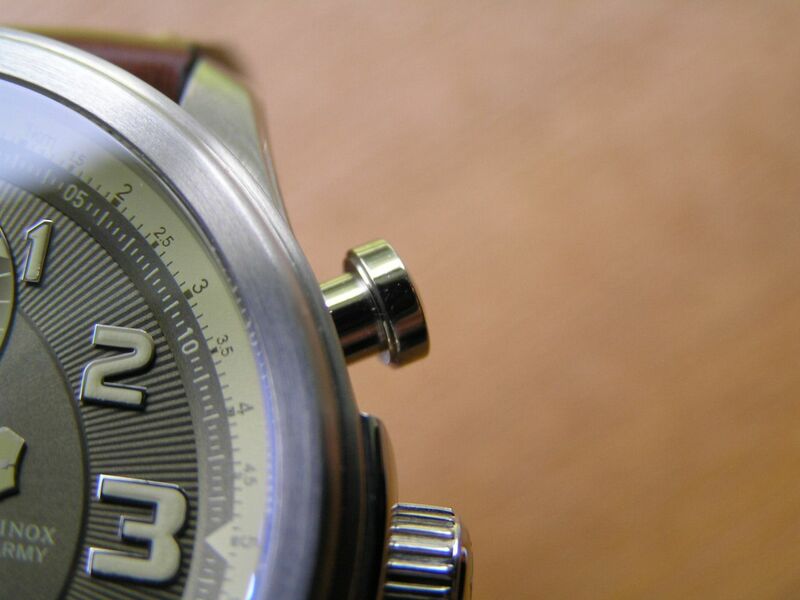 Both of these subdials also feature center texturing with subtle record-grooving around the perimeter. Build quality and fit and finish is superb, no dirt or smudges were visible under my standard 8X loupe exam. The watch is factory rated at 100 meters water resistance. 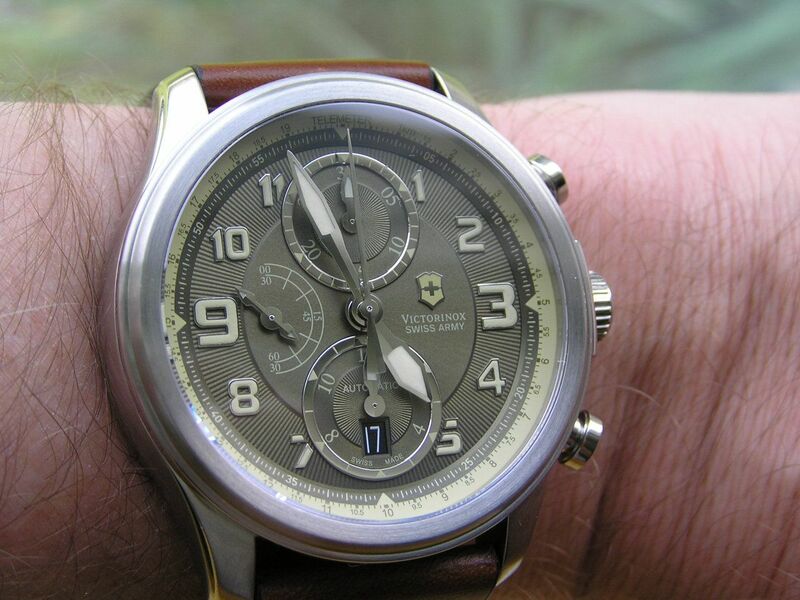 Inside this gem of a watch resides the seemingly ubiquitous Valjoux 7750 25-jewel automatic chronograph movement. Called in for duty in the Infantry Vintage Mechanical, it has kept time at +7 seconds per day since acquisition, with a fine 55 hour power reserve. Winding action is smooth and even and I like that you can hear the mechanical clutch start clicking when a full wind has been achieved. 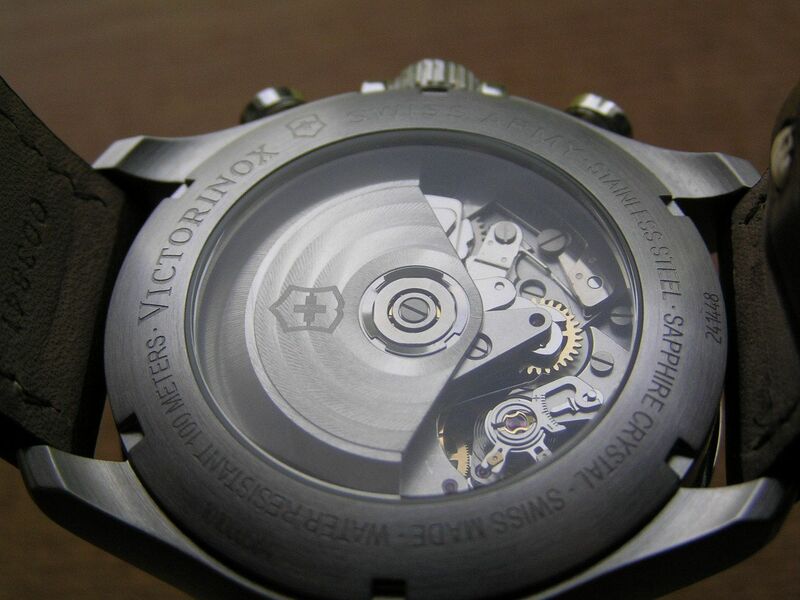 The only real decoration on the movement is the signed Victorinox rotor with mild circular Geneva striping. All chronograph functions (start, stop, reset and running) perform perfectly as would be expected from a tried and true movement such as the 7750. 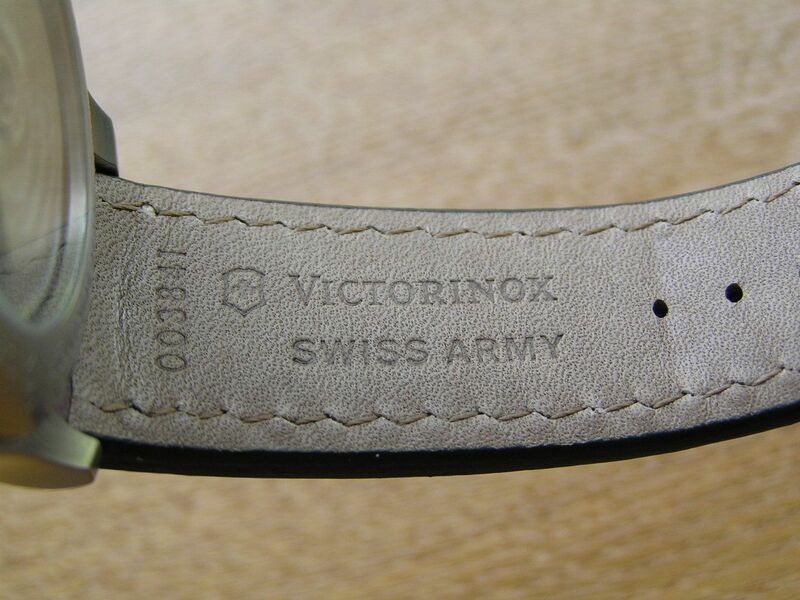 Another part of this watch that resonates with the vintage design is the quality leather strap that Victorinox outfits this piece with. 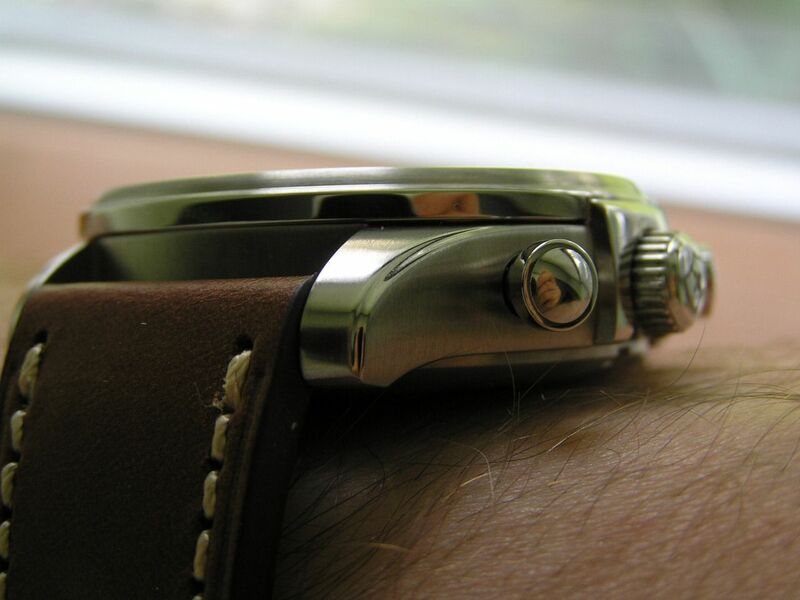 Measuring 23mm at the lugs down to 20.4mm at the signed deployant clasp, this is a nice strap. 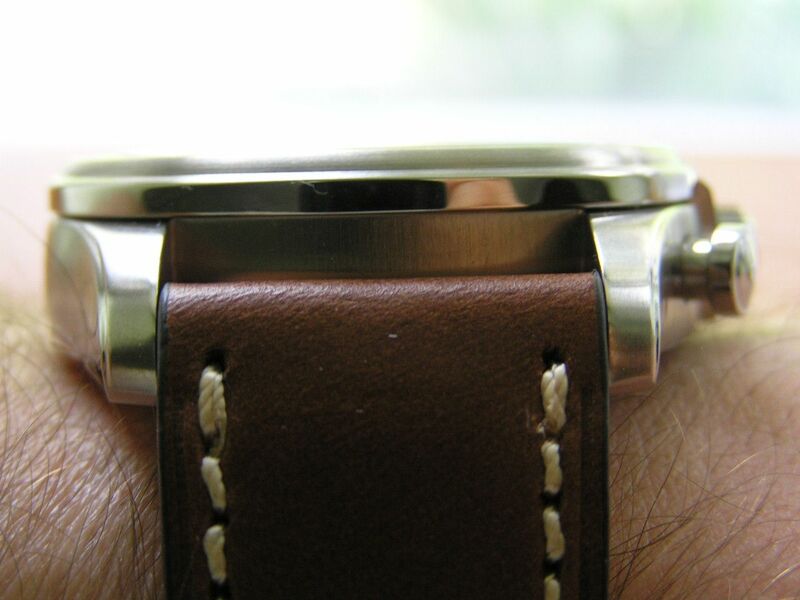 A pleasing medium brown, smooth leather with slightly off-white contrast stitching with a slightly thicker thread, the strap imparts the proper look to this watch. 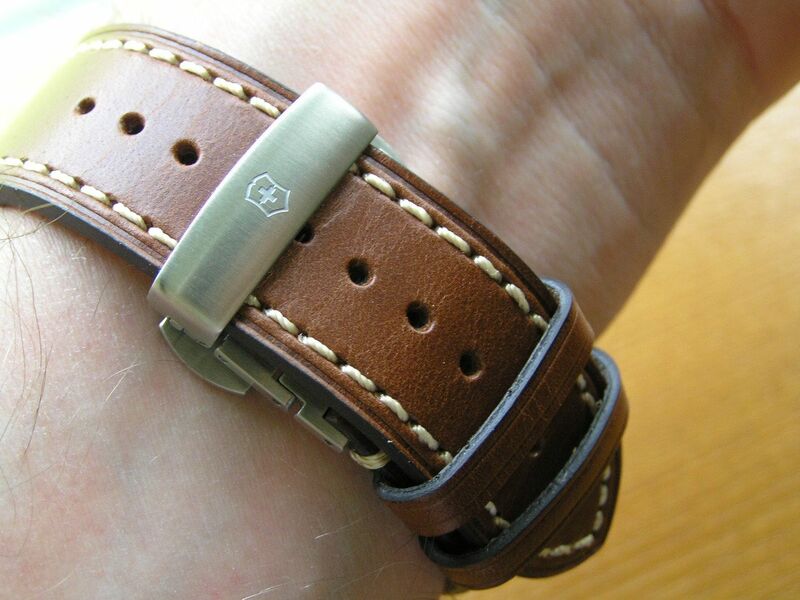 The strap has very minimal padding, but still rather thick at 3.8mm at its thickest point. 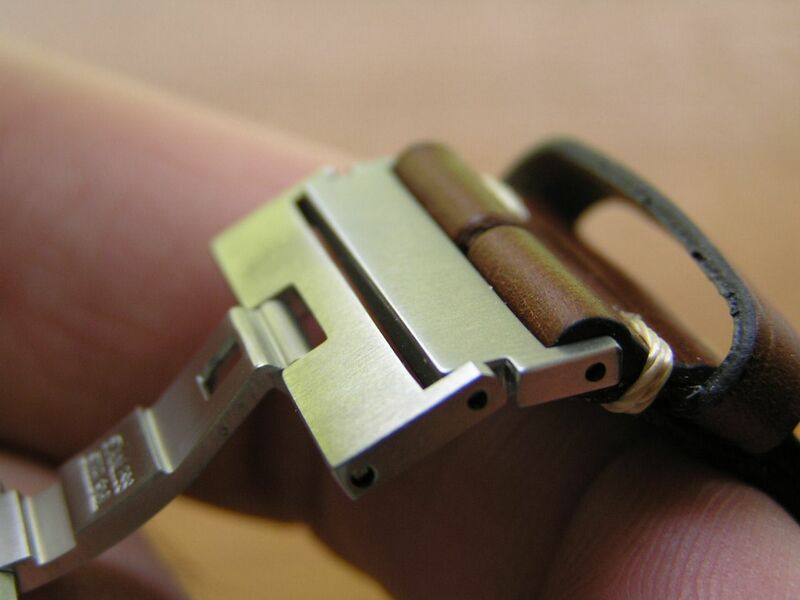 The clasp is a butterfly machined deployant style and one nifty touch are the two stainless steel ‘links’ that are included which can be removed for a better fit, if needed (see photo). Two keepers (one fixed, one floating) are also included. This is a large watch that can be a bit top heavy due to its 7750-inspired thickness and longer than usual pushers, but it wears well and looks stunning on the wrist. 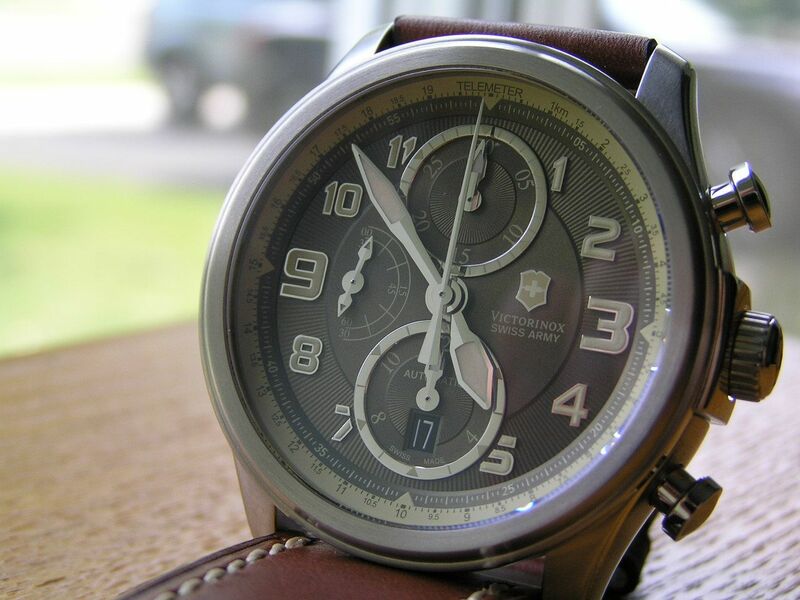 Overall, the Victorinox Infantry Vintage Mechanical is a unique, stylish and functional watch that is really quite superb. I hope that Victornox continues down their current design path with interesting and enticing styles that don’t go over the top and start putting form before function. Well done! Thanks for reading and enjoy the pictures! 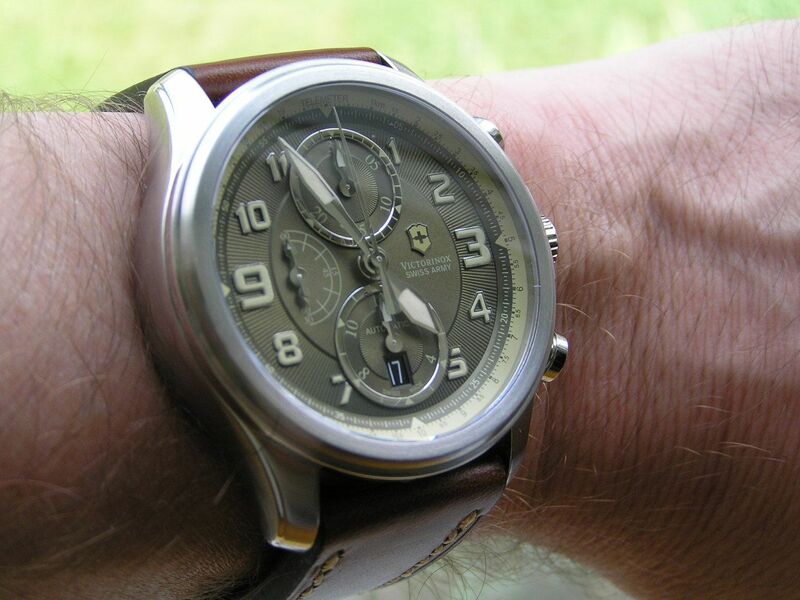 Great review on a watch that's now available at a great price.